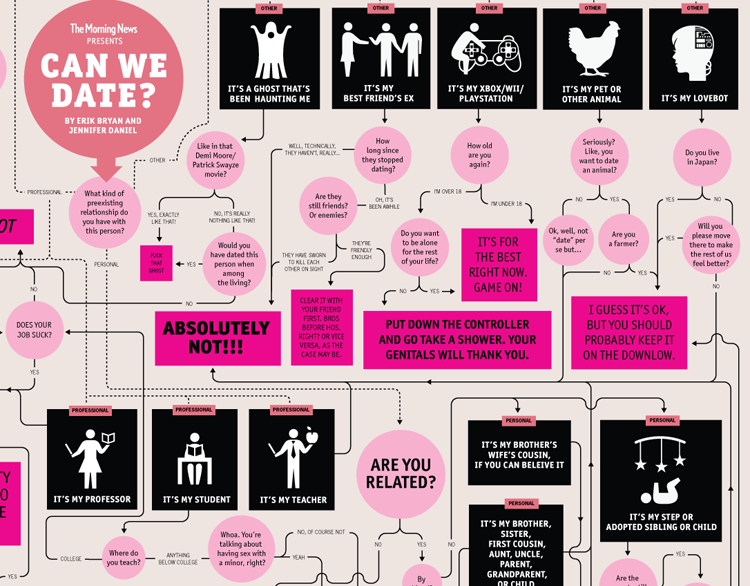 Infographic: Is It Cool for Us to Date? Cavemen asked it amongst the tribe; ancient scholars dedicated thousands of pages to the subject; and every other commercial you see is still trying to resolve the age old question: Is it proper for us to get down and dirty? 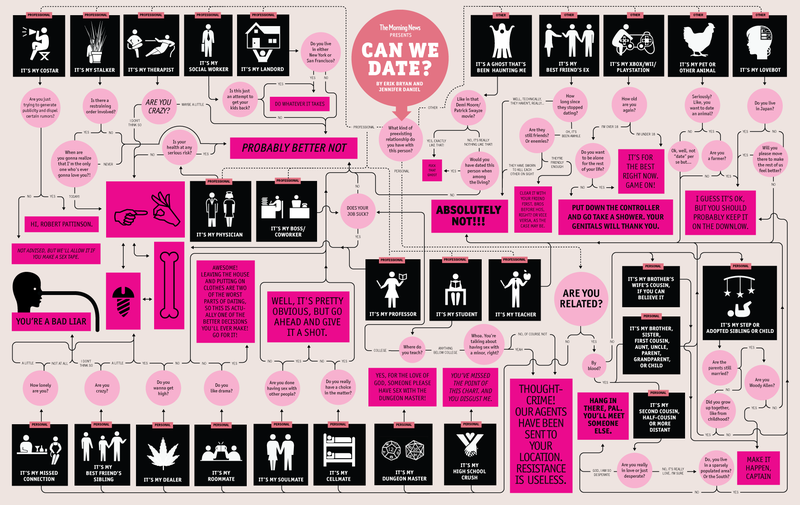 Can we date, and still have it be cool according to social convention? Degree of relation determines the acceptability of relationships. Like, even if you’re not related by blood to someone, there are, as I reckon, about three levels of relations that should be considered when deciding who you can date: “personal,” ‘professional,’ and “other.” Of course a lot of that “other” is going to be concerned with instances, like, say you’re at a kegger and you meet a Japanese foreign exchange student and you’re both really drunk. Obviously you wouldn’t need our advice to know that there’s practically a frat’s-worth of third base coaches waving you in. The following flowchart, then, is intended specifically for cases like your own, where the higher degrees of relation come into play and the other cases are more problematic. Commence flowchart! Check the whole thing out at The Morning News.